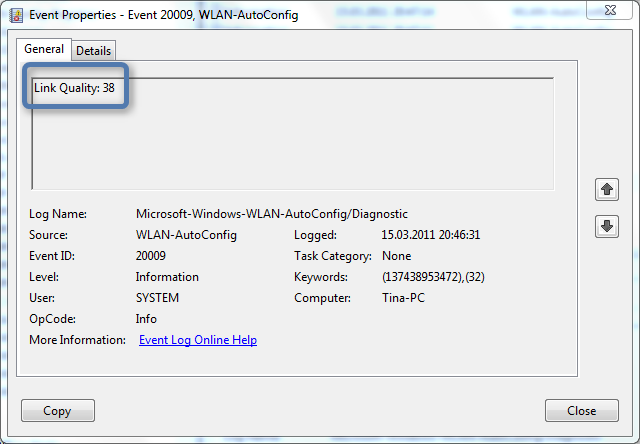 When using WLAN on a day to day basis we can see the WLAN signal strength via the Windows User Interface as shown in the screenshot below. But there are other ways, and yes the approach might appear a bit inconvenient, but basically I want to demonstrate the Power of the Windows Event log. 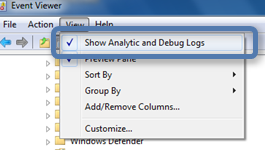 First open the Windows Event viewer (eventvwr.msc) and then within the View Menu enable the Show Analytic and Debug Logs option. 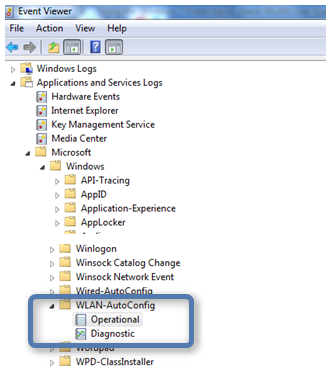 Then navigate to the WLAN-autoconfig event log. 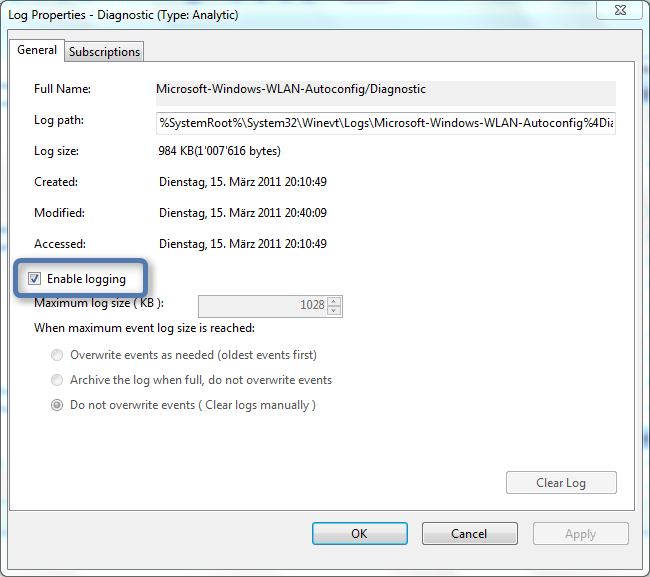 Since we enabled the Analytic and Debug logs option, beside the Operational log we also see the Diagnostic log. As soon as we have the Diagnostics mode enabled we should see events coming in. To enforce things a bit simply disable and enable your Wireless connection using your vendors Wireless Connection Software or hardware button on the notebook. 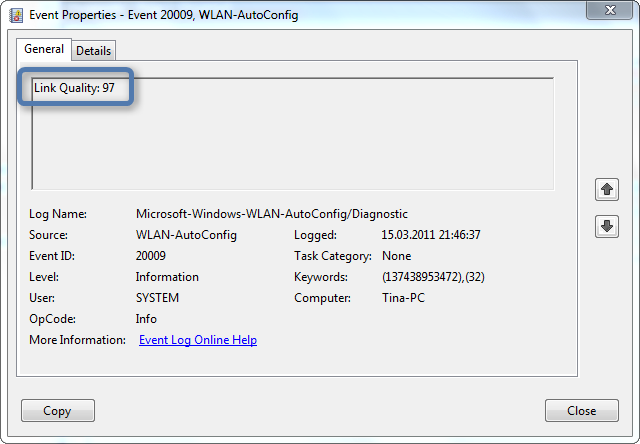 When the following Event was logged I was sitting near our Wireless Access Point and got a Link Quality result of 81. I then moved to the basement and got a Link Quality result of 38. And finally placing the laptop right next to the Wireless Access Point resulted in a Link Quality of 97. Note! when you’re done, don’t forget to disable the logging. Why not show us if there are any other features of Wifi diagnositcs logs? Does it log associations channel handover etc? Just showing the link quality is pretty useless if that’s all it does!